009.Michael Cousin – JavaMuseum 2010 – Celebrate! is a moving image artist based in Wales, UK. He is the Founder and curator of Outcasting an online moving image gallery and is currently Freelance Project Manager at g39 in Cardiff. He is also an Artist Member of the Contemporary Art Society, London. 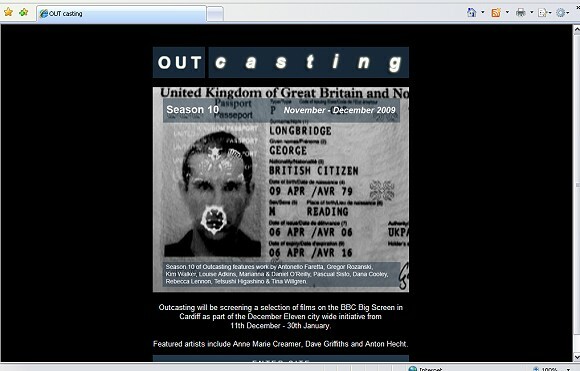 Outcasting is an online moving image gallery. This is a voluntary organisation that offers a platform for practitioners of the moving image. Artists, filmmakers, animators and documentary makers are selected for screenings of their work in bimonthly Seasons and will then be archived on the site. There will also be public screenings, events and some work will be distributed on DVD. 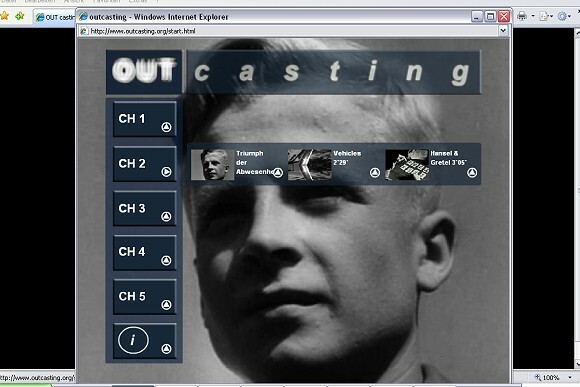 Season 5 of Outcasting will be broadcast from 1 October – 30 November and features work by Robert Pearre, Adam Trowbridge, Beck & Calvo, Selina Shah, Boldi Csernak, Deej Fabyc, Ivan Willockx, Olga Koroleva, Rachel Castro, Louise Adkins, Meriel Herbert and Marta Stysiak. All four previous seasons will be available in the Archive section.